In case of a cat emergency, waiting until "normal business hours" is not an option. In a time of crisis, Belton Veterinary Clinic is open with an emergency cat clinic. Our hospital is ready to help! 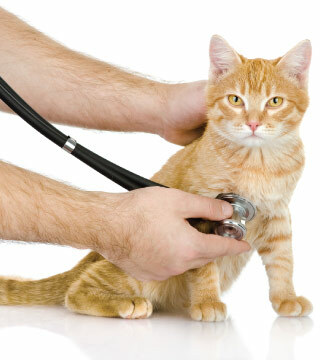 Of course we cannot explore every possible emergency scenario here, however, if you are worried about the health of your cat, and especially if you are worried that they may be experiencing a life threatening situation, please call us immediately. For any feline requiring emergency cat care in the Belton area, Belton Veterinary Clinic is proud to offer 24-hour emergency care at our clinic. Once secured, immediately transport him or her to an emergency clinic. Please call ahead of time so our veterinarian can meet you at our clinic. Please call and let us know what your cat ate, how much and when. Bring the bottle or know the type of medication or poison ingested. Proudly serving the Belton metropolitan area since 1960s, Belton Veterinary Clinic is open 24 hours a day, 7 days a week, 365 days a year for any emergency cat care situation that arises. Call our clinic at (254) 935-3693, and our answering service will send our veterinarian on call a message so that they can promptly return your call.